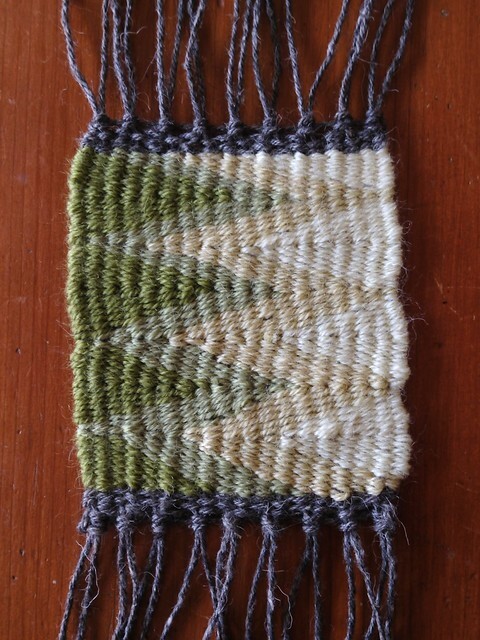 After following instructions from Navajo Techniques for Today’s Weaver by Joanne Mattera (1975), I assembled a small Navajo-styled loom. The frame, about 2′ x 3′, was $2 at a junk shop. 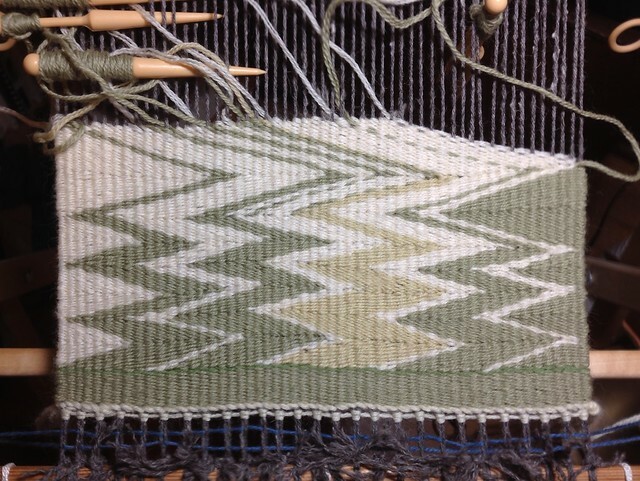 I think it was meant to be for rug twining because the nails are spaced 1″ apart. I’ve never used it, so it was nice to give it a job. A few of the nails came in handy as I used to them to secure dowels or create tension by wrapping the twine and tying it. 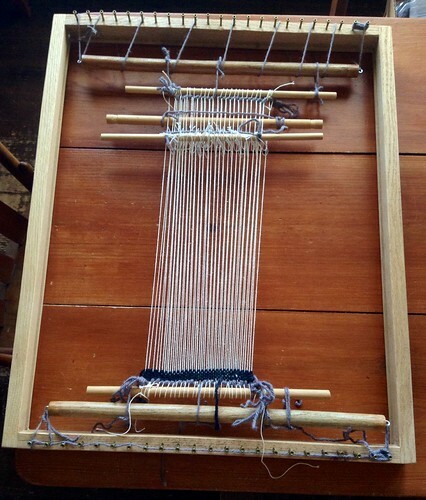 Making a loom like this is similar to creating a backstrap loom. It looks fairly simple. 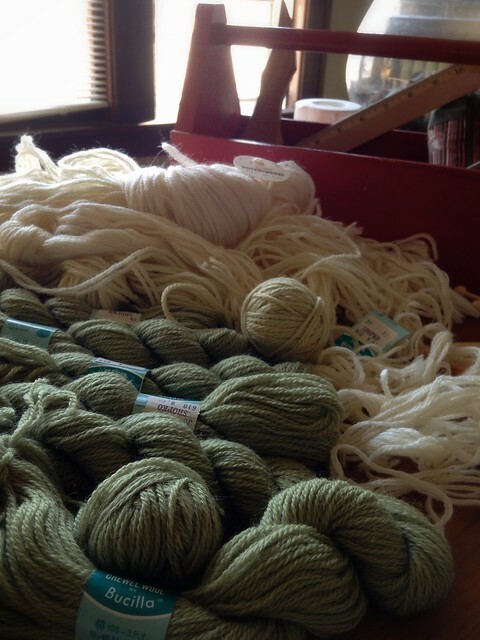 There are some sticks, some yarn, etc., but when you look at each piece individually, you realize they each have a very specific job to do, and so you need to put your brain to work to understand how one area is connected to another. 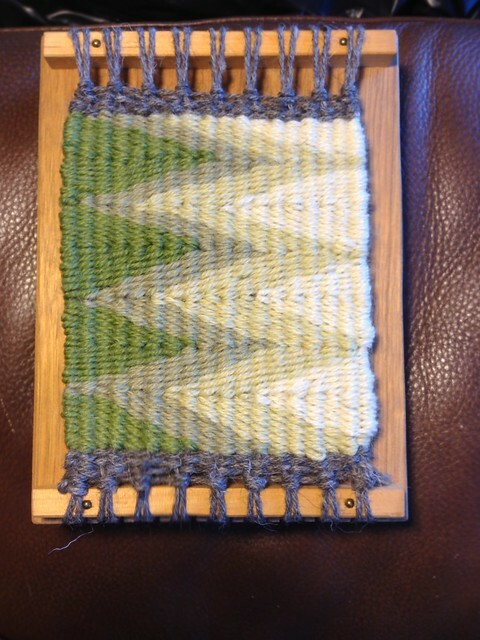 The neat thing about a Navajo loom is that you don’t have fringes when you’re finished. This appealed to me. 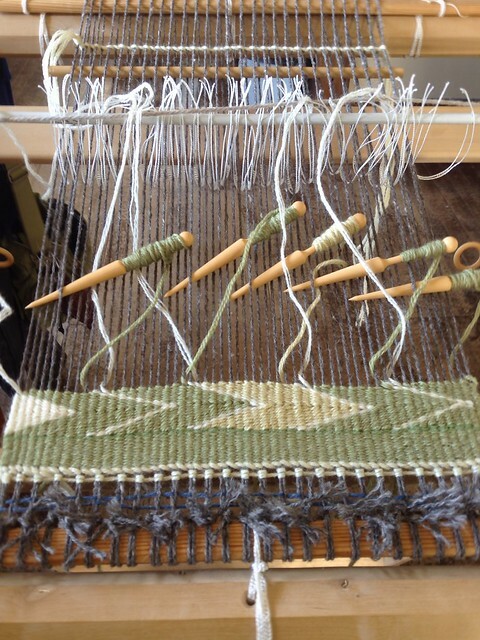 However, to get that tidy edging, you need to first warp the loom, then twine the top and bottom threads for spacing and securing, and then transfer the warp off the warping dowels and bind onto a second dowel. 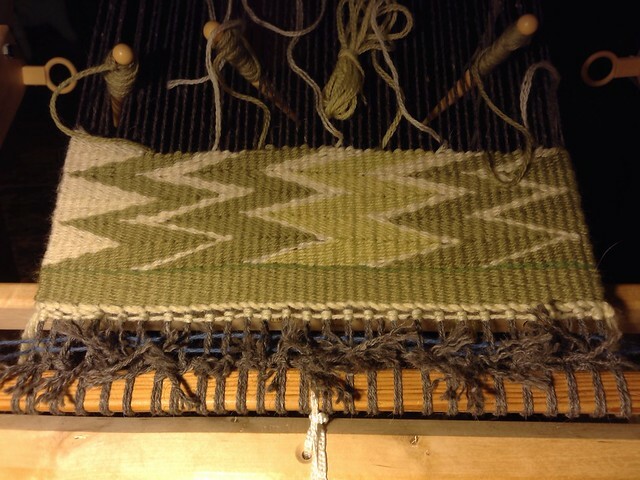 I failed with both the twining and the binding, My warp threads are too close to each other plus they’re lifting off the second dowel on the edges. My motto: live and learn. Well, I didn’t spend a penny but I now have a little setup that can be used and improved.